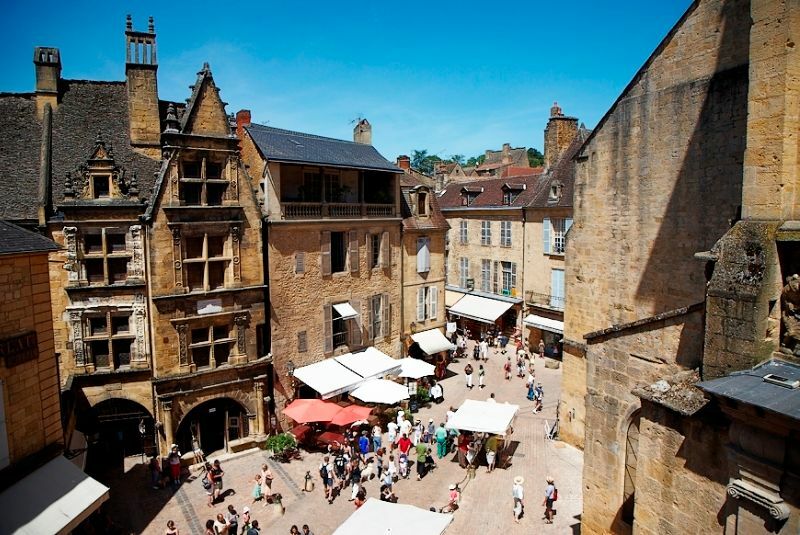 By leaving our campsite, follow the Dordogne river during a small half hour, then go back up northward, direction Beynac and Cazenac, then you will find the famous Sarlat La Canéda, or more simply Sarlat. 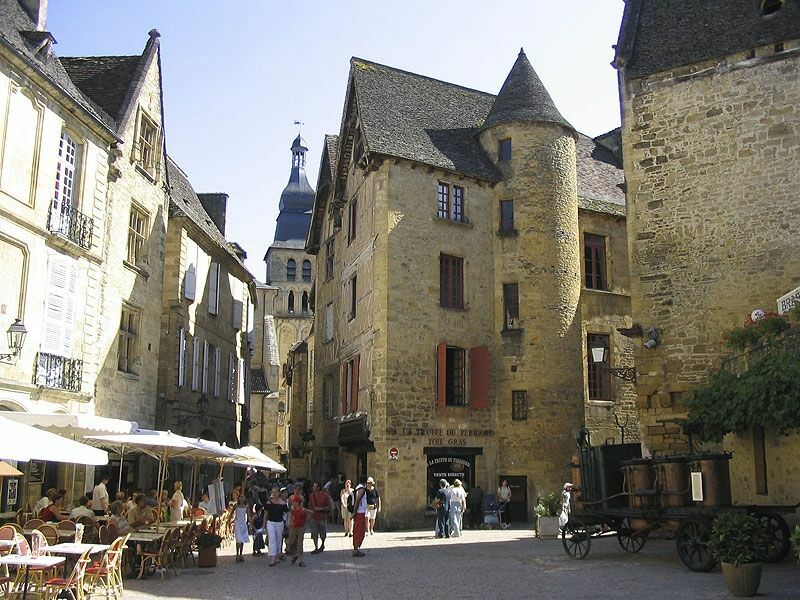 This city is one of major places of Dordogne. Its historical and cultural heritage very rich in fact a curiosity for all the visitors. Do not miss to visit the prehistoric caves of the territory as the cave of Cougnac. Admire the magnificent stalactites of the Grand Roc and imagine the time which it was necessary so that the cave build them. 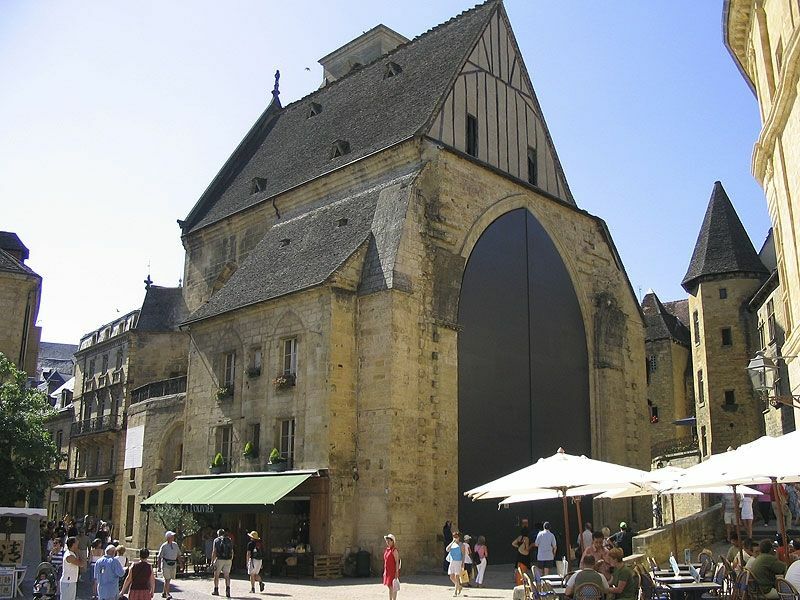 The natural territory of Sarlat is also very renowned. What real pleasure to discover the surrounding on a bicycle, on foot or by horse while borrowing bicycle paths and pedestrian paths which cross the territory. Take advantage of your stay in our campsite to visit this place ! Nouvelle direction depuis 2017 !